President Trump. Those are two words I thought would never be uttered together. But much to my dismay, Donald Trump has won the election, and is now on his way to become President of the United States of America. So what does this mean for the future of the legalization movement, and the War on Drugs? But how much of what this man says can we really believe? He has proven that he will say anything to please the electorate and/or generate media coverage. And his stance on legal pot has changed quite a bit through the years – at one point he was reportedly even in favor of legalizing all drugs – and he has repeatedly spoken out against recreational pot. So on the issue of cannabis, like on so many others, Trump is basically a big, fat question mark. There is no telling what he really thinks, or what he will do when he takes office. Perhaps the best way to determine how the Trump administration will approach drug policy is to take a look at his appointments. Who is he surrounding himself with? Who is he putting in positions of power? And that’s where it starts to get really ugly. Trump announced his pick for attorney general this week: senator Jeff Sessions. For those of you who don’t know who he is, the Republican senator from Alabama basically embodies every Hollywood stereotype of a white lawyer from the deep south… He makes racist jokes at work, and refers to black co-workers as “boy.” He called the NAACP a communist organization. He opposes the Voting Rights Act and supports mandatory minimum sentencing for drug offenders. That one statement, I think, sums up who Jeff Sessions is, what he believes, and his attitude toward marijuana (among other things). And if you’re a pot smoker, a person of color, or anyone who cares about civil rights and criminal justice reform, the thought of Sessions assuming the position of America’s top prosecutor should send shivers down your spine. Fortunately, his appointment does have to be confirmed by the Senate. Unfortunately, the Senate is still in Republican hands. We can only hope that there are enough senators of good conscience, on both sides of the isle, who will be willing to risk “the wrath of Trump” in order to oppose his appointment of a notorious racist to be next U.S. attorney general. Whether Sessions gets confirmed or not, the fact that he was picked in the first place is troubling enough. It’s a clear sign of which direction the President-Elect plans to take this country during his term: backwards. At a time when 60% of Americans support recreational marijuana, when 8 states plus D.C. have already voted for it, and no less than 28 states have medical marijuana programs in place, Trump taps a guy whose drug policy is reminiscent of Reagan and Anslinger. 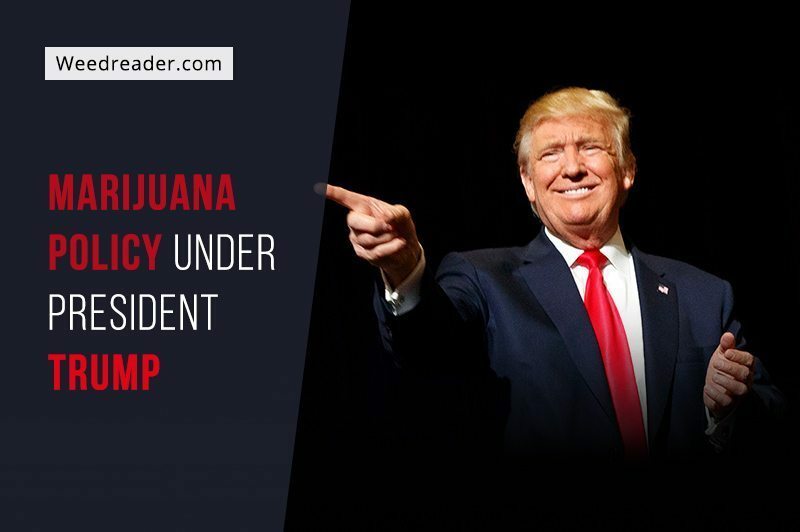 Despite the growing consensus that cannabis needs to removed from the list of Schedule 1 drugs, and decriminalized at the federal level, Trump is assembling a cabinet that will do anything but. It looks like under President Trump, the War on Drugs is alive and well… for the next 4 years at least.